The early Ming armor bore a noticeable synergy between the native Han Chinese and the Mongol influences. In terms of design, use, and emphasis, it accentuated a changing of times and a shift in tactics. The Mongols conquered the known world with the strength of their light horse archers, from Russia to the beating heart of Europe, from Korea to the gates of Constantinople. Despite constantly waging wars with a fragment of their enemy's strength, the horse lords swiftly sacked hundreds of kingdoms and principalities. Anyone that dared to offer even the feeblest resistance were wholesale wiped off the planet. 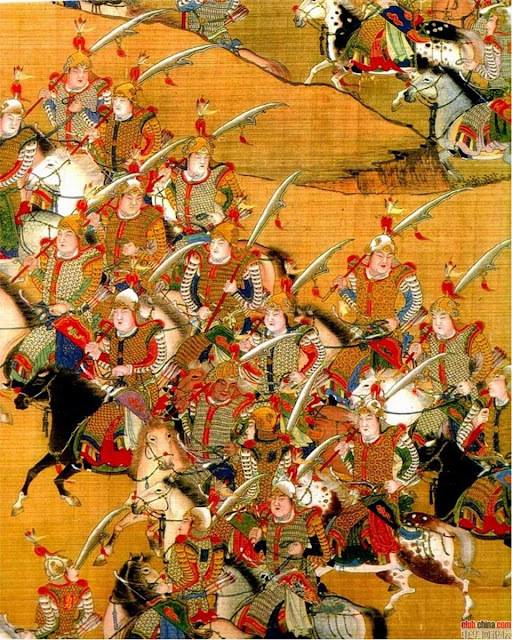 As many Muslim and later Christian chroniclers wrote, the Mongols were able to appear much, much bigger simply because of their extreme mobility, often what observed as another regiment attacking the pinned force was in fact the regiment they just recently fought before, now appeared fully behind their exposed flanks. 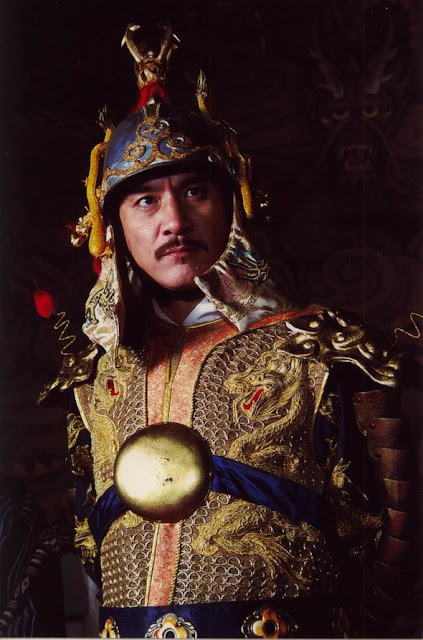 Nearly three generations of conquerors later after the death of Ghengis Khan, his grandson Kublai subdued all of China, Tibet, Korea, and even attempted to subjugate Java and Japan through naval incursions. Culminating in the death of no less than 16% of the planet's total population in the 13th century. It was if anything, a hard truth for the stunned, servile people of the world. 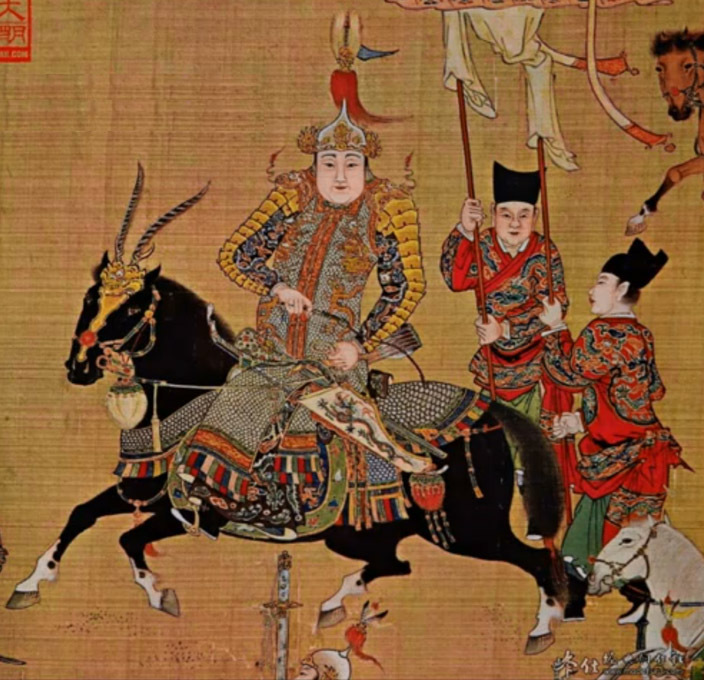 Fluidity was their trump card, the Mongols were strategic fighters and was liberal in the ways of traditional tactics. They never regarded the battle as a set piece event in a limited space of contention but rather from their upbringing regarded the territories in front, behind, and to each side of the conflict as an extension of the battle itself. Maneuvering and the battle were one, they were just the different phases of the same event. Thus, if the whole swathe of the area round the battlefield was the battle, then loosing the central position, a key point means nothing if they could later still turn such a loss to their advantage. If the foes arrayed their horsemen and soldiers in the finest heavy armor and the best charging warhorse, the Mongols would feign a retreat to draw them out of their defensible formation, then- while their foe pursued the fleeing Mongols in full force, adding distance between the tired infantry and the exposed cavalry, that's when the fast Mongol army "truly" attack and finish off the separated host. 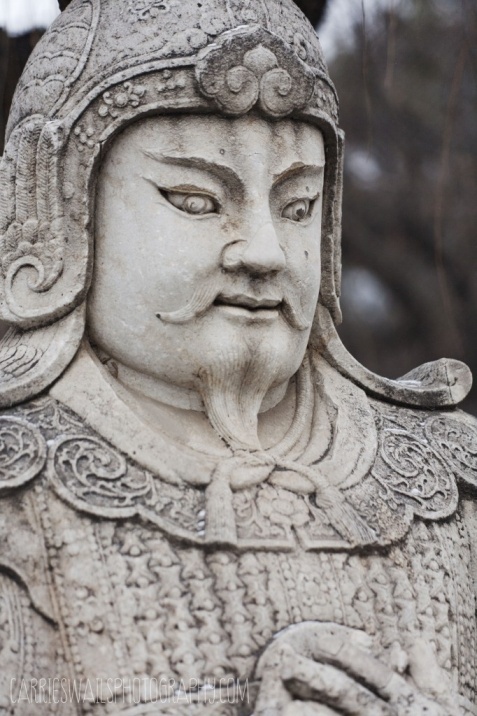 The descendants of Kublai Khan ruled China and styled themselves as Chinese Emperors, calling themselves the "Yuan" dynasty, they ruled as an elite caste of foreign conquerors until they were overthrow in a series of great rebellions in 1368. 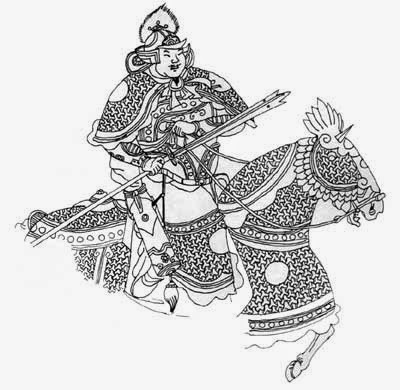 Like everywhere else in the continent spanning- Mongol Empire, resurgent local rulers attempted to cast off the Mongol yoke. 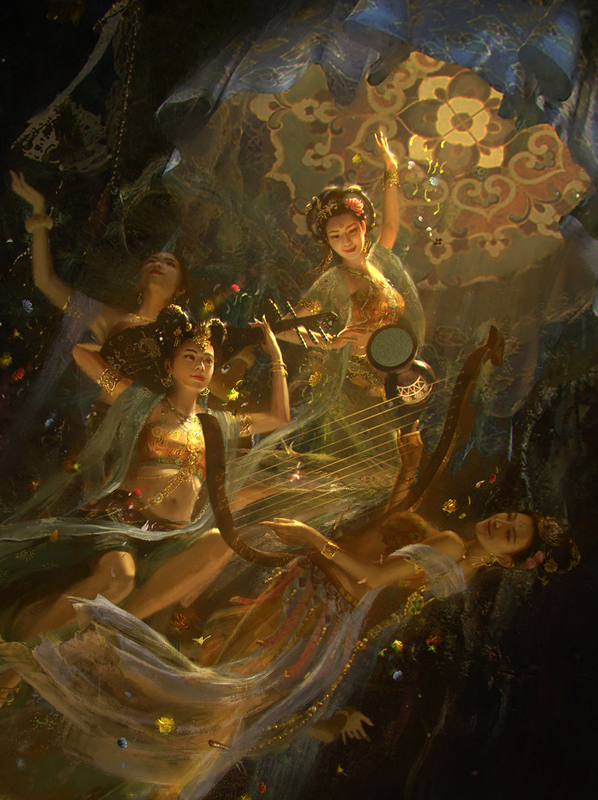 China's throne once again reverted to its natives in the new Ming Dynasty. But like any power that emerged from the grasp of a yet strong, dazed foe, the early Ming Emperors never forgot what a lacking defense could, or more correctly: would inevitably result. 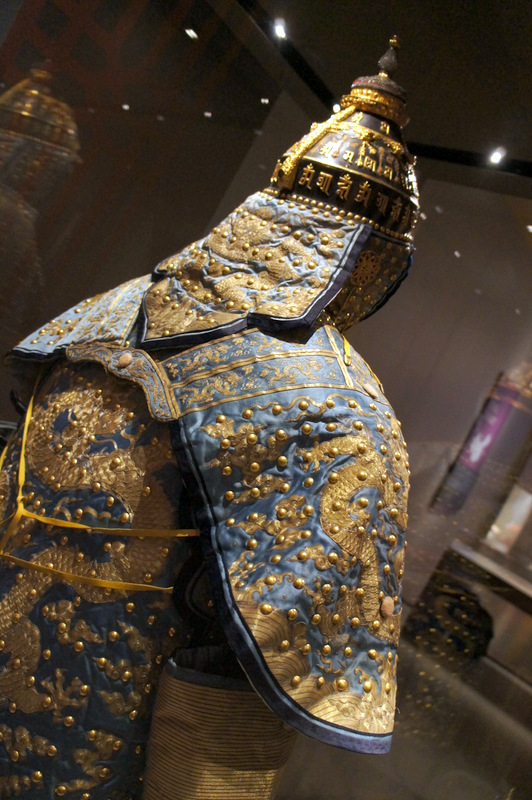 The armor of their soldiers would accommodate the new realities on the battlefield. 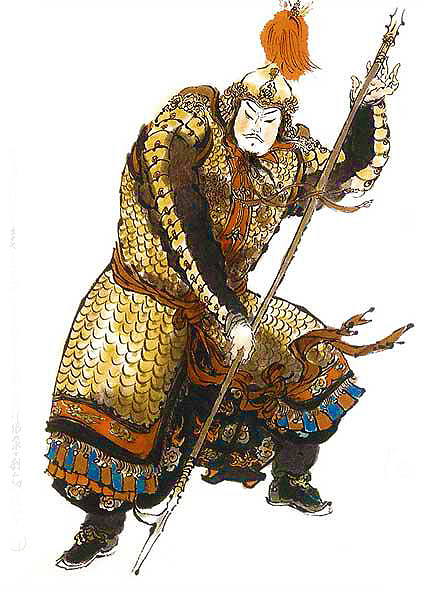 In order to better fight against a fast mounted foe, horse armor (which originally was implemented against the heavily Jin cataphracts) was discarded entirely. 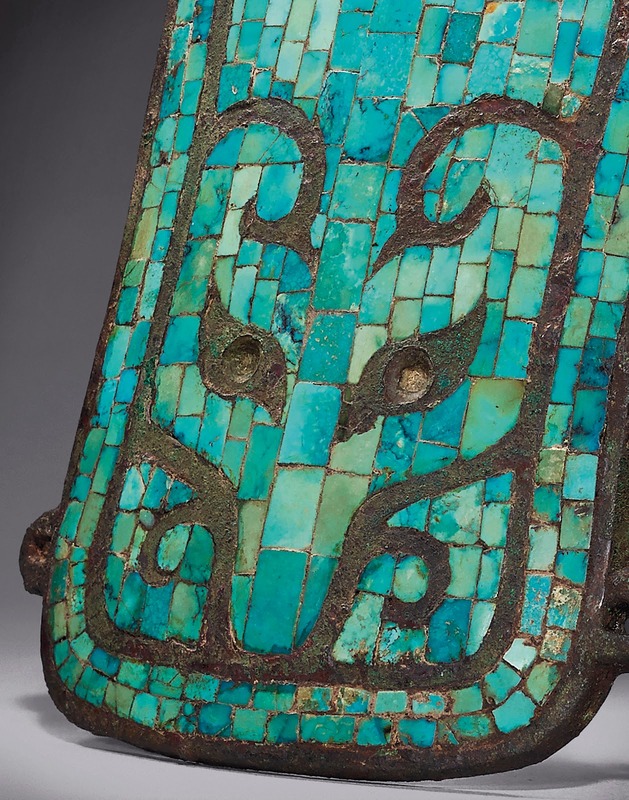 Bracers and greaves were lightened, and in imitation of the steppe riders, chainmails (which had been unknown and unadopted in China,) began to appear in large numbers throughout the Ming Dynasty. Greaves, bracers/ gauntlets, even protective waist braces and pauldrons were all eschewed for a scale/ lamellar cuirass surcoat, with a pair of distinctive segmented arm guards, similar to the type developed by Emperor Trajan in the Dacian Wars. Flags and plumes were fastened atop the helmets for the identification of rank and company. This general trend of "lightening up" was logical considering the changing dimension of warfare in the era. 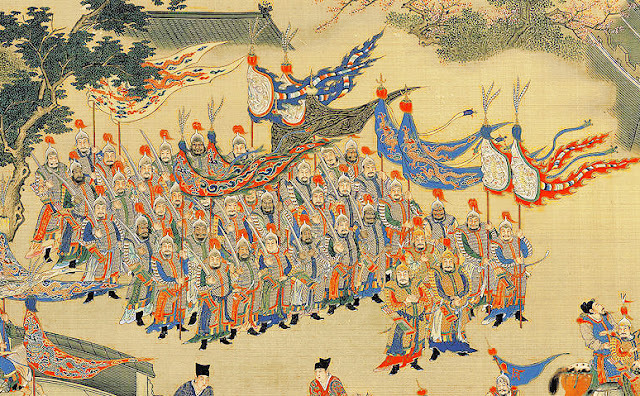 To the Ming, for the first time in nearly 600 years since the fall of Tang Dynasty, the Chinese no longer have to fight against themselves. Which means the nature of warfare no longer involved rival Chinese generals fighting another Chinese rival using giant disciplined infantry blocks where the heavily armored cavalry was only saved in reserve for a decisive assault. With the unification of all the Chinese people under one empire again, internal strife was an aberration rather than a constant. This framed the nature of warfare from internal to external, and thus brings us to the second point: the scale of warfare. Wars were no longer about contesting for a single nearby province but are now waged along the vast empire's frontiers against nations of foreign peoples. This meant that the key role of the army was to be fast enough to reach hot spots quickly and destroy the invading hosts before they could penetrate into the empire. Mobility and the ability to equip a large core of levies became the most important factors for the empire's defense. 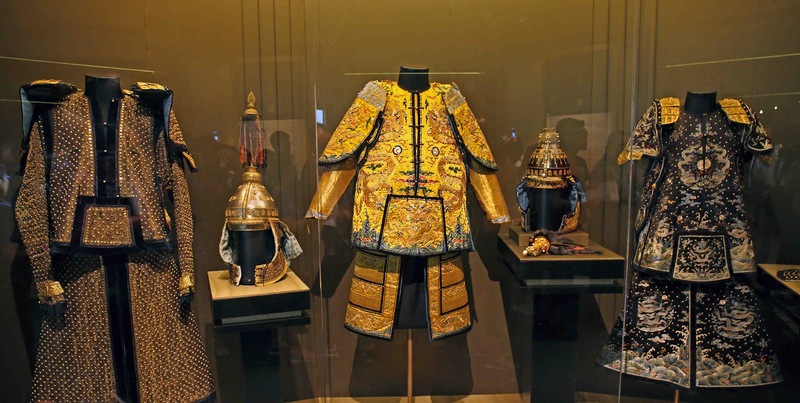 Both of these factors meant the armor of the average soldier, generals included- would not be too heavy nor too ornate compared to the armor of the early eras. Despite these cuts it would not be too much of a problem for the empire. Although the armor of the average soldier was lightened, the Ming still possessed the most heavily armored soldiers in the region (with perhaps the exception of the Japanese.) The scale/ lamellar surcoat + arm guards was sufficient against both mounted steppe foes or the Burmese/ Vietnamese in the south. 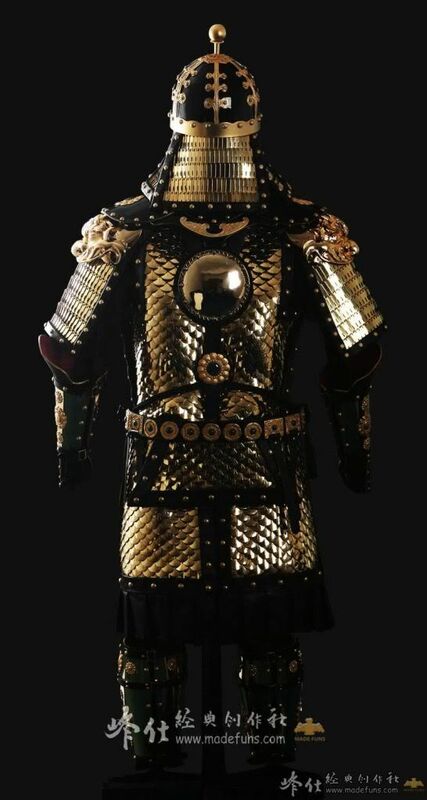 These armor worked well for mounted contingents, as it combined good weight and flexibility with economical overall protection against either the glancing slashes of horsemen or the piercing strikes of lances. 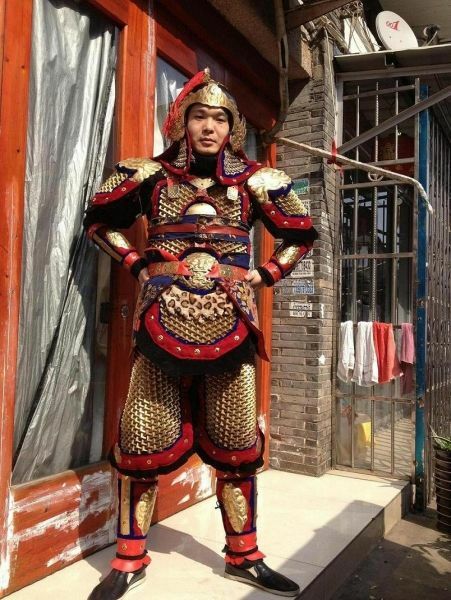 The armors were further lightened with the mass adoption of gunpowder weapons. 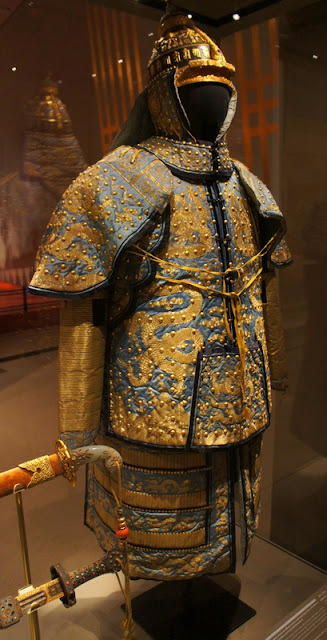 This combined with the near bankruptcy of the royal treasury in the first two decades of the 17th century accelerated the lightening of armors so that by 1630, the majority of the infantry were geared with the much lighter brigandine armor. I believe you are right, though there are several misleading maps from the west- and from the Mongols themselves that marked Vietnam (at least Northern Vietnam) as part of the Yuan domains. Including part of modern Hanoi~ either way~ I've instead listed Korea as part of the conquered territories, half of Goryeo Korea was carved out and taken by the Mongol invaders~ so yeah. But let me get this straight, I have read that Vietnam did give assistance to the Mongols in their invasion of Java right? Apparantly the Vietnamnese court did permit military access to the Mongols and ^as you mentioned, tributes~ including some ships yes? 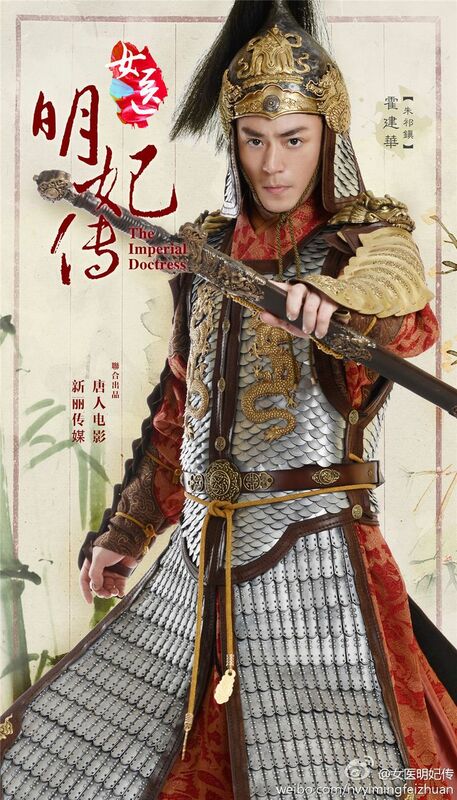 Now I'm actually reading the history of the Tran Dynasty~ very interesting! Interesting. Could you give sources on the Java campaign and Vietnamese' part in it? 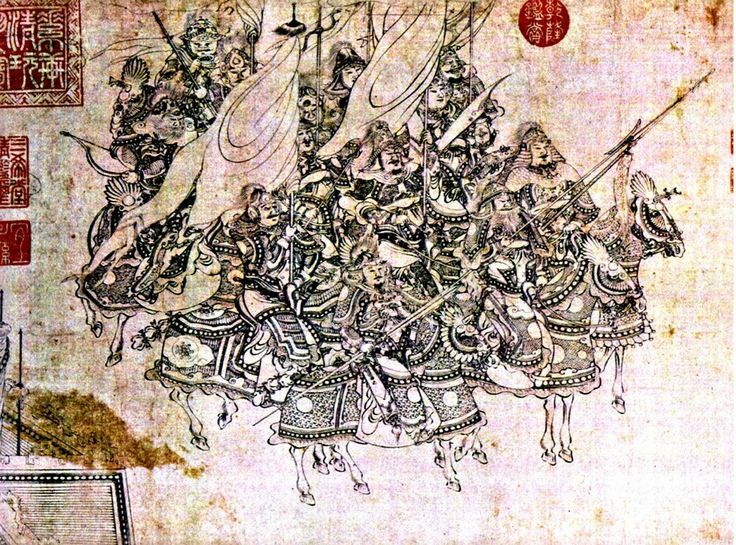 "The Yuan forces departed from southern port of Guanzhou, traveled along the coast of Dai Viet and Champa along the way to their primary target."